It's become a tradition of mine to write a reflective or moving forward post on my birthday, you can check out my feels on Turning 40 here. This year, I've been back and forth on whether to even continue this blog of mine, let alone continue my birthday tradition post. It's been a good minute since turning 40ish (in January) and while I do still have this little blog up, I might as well write something and all I can think about is this trend on being authentic. 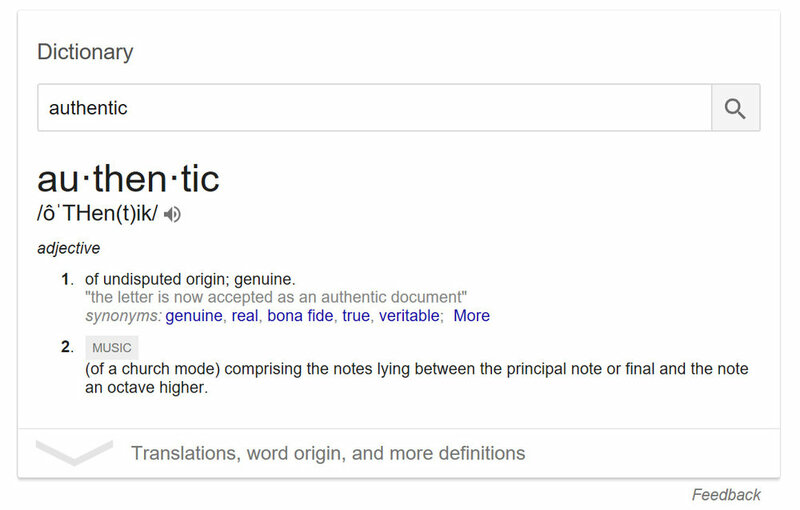 Just a few months ago, everyone made resolutions or picked their word for the year, and the word authentic was thrown around a lot. Which is great - don't get me wrong, but what does that really mean - like really? Towards the end 2017, I started to plan content and brand direction for 2018. It comes pretty easily when I'm working with someone else's brand, someone else's content but when it came to my own, I hit this wall - What direction do I want to go? What content do I want to create? And when it got down to it, I was asking myself who do I want to share with the universe? Well, the obvious answer is the real me, duh. But society asks, who is that? Are you creative cool enough to work on my brand? Is the real you organic and true on social media? Are you fun and witty? Do you post about your kids? Why not? Don't you love them? Do you even fitness bro? Ok, maybe not that last one but OMG it feels like it sometimes. As I go through my Instagram feed, I'm seeing a lot of posts taking about being authentic and yet I can't tell the difference from Vintage Chic Account and Creative Account and Style Fashion Account. So does being authentic mean, being like everyone else who is being authentic? Before Christmas, the Make A Wish Foundation sent my family on a cruise because of my son's battle with kidney disease. It's really difficult to connect to wifi out in the middle of the ocean, so I was absolutely disconnected from my norm. Know what happened? I. Loved. It. So much so that I stopped posting all together. Then I realized that's not good for business, so I am social once again. During that unforeseen sabbatical, I've been able to regroup my thoughts and I've come to realize that by jumping on that authenticity wagon, I was conflicted and unsure of what content to share and how to share it. I realized that my images were off-versions of someone else's images, someone else's authenticity - unless of course they were an off-version of somebody else. Being 40ish has given me the experiences to embrace the confidence I feel in the person I've become, the skills I've acquired, the talents I've tapped into and the people I've surrounded myself with. Being 40ish will teach me what being authentic and genuine means to me, not show me what it looks like on someone I adore. Being 40ish will be about meeting goals to live my dream on a beach - camera in one hand, mango colada in the other. Being 40ish includes shedding the fluff - the extra to be like everyone else and to be liked. Being 40ish will be about focus and enjoying being 40ish. Being 40ish is less fear and more faith. Cheers my friends to 40ish. Sorry I'm late. Took a minute for me to figure it out. But I'm glad we're here together now.